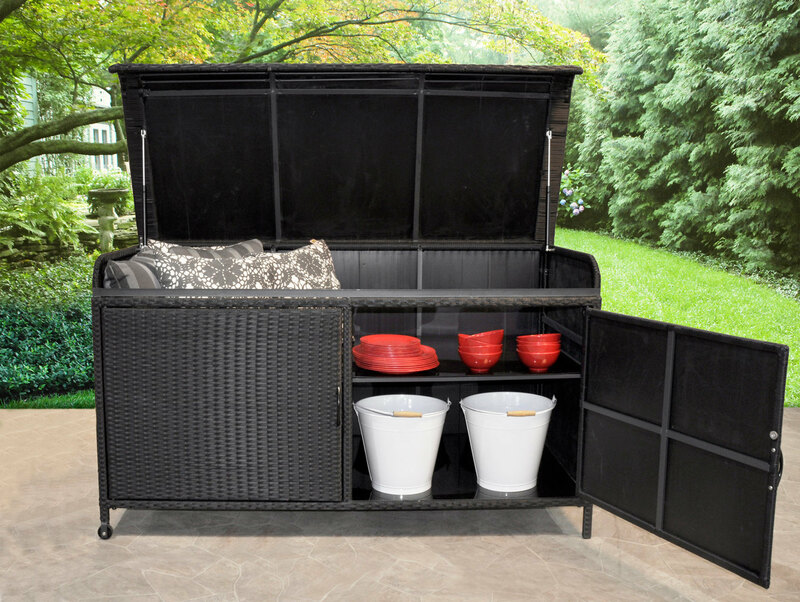 The resin wicker storage box is ideal for storing cushions, pillows and other garden accessories. The steel frame is wrapped in resin wicker which gives it a chic and elegant look matching your furniture. Equipped with gas lifts, the box lid is easy to open and close and feature doors and shelves for easy organization. The box is suitable for either interior decor as well as a terrace, a garden or porch. The handle and two caster wheels make it easy to move.